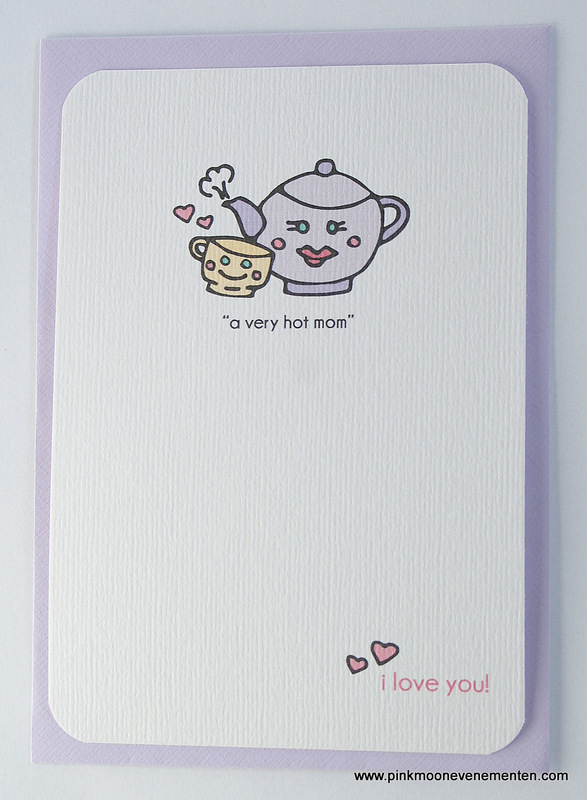 “A very hot mom” is a funny card to send to the mothers in your life to show them how hot as coffee they are. All illustrations are hand drawn by Mara in her characteristic whimsical style, scanned, digitally colored and printed on heavy cardstock. Buy A very hot mom card HERE. 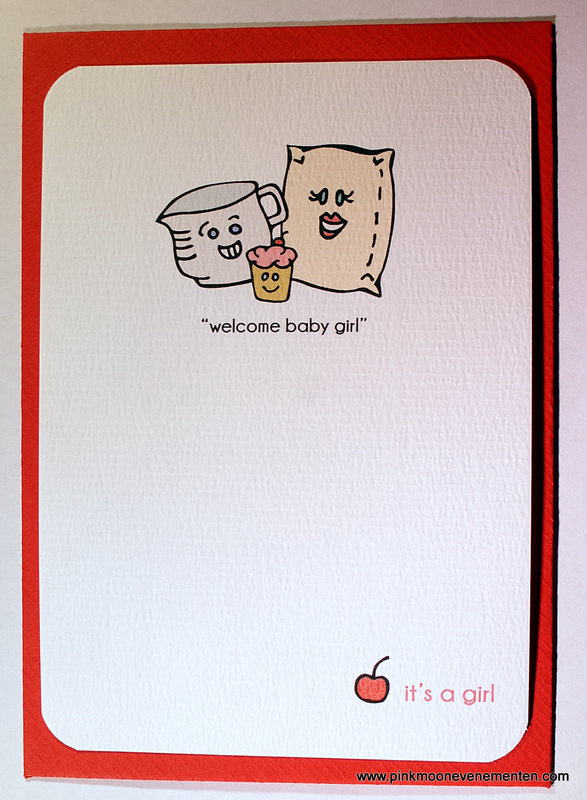 “Welcome baby girl” is a sweet and funny card to send to new parents to congratulate them on the arrival of a daughter. All illustrations are hand drawn by Mara in her characteristic whimsical style, scanned, digitally colored and printed on heavy cardstock. 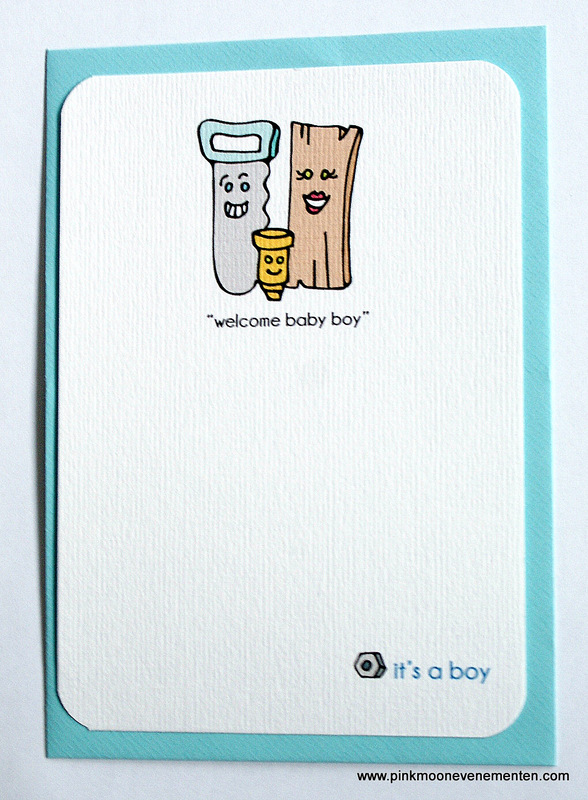 Buy Welcome baby girl card HERE. The lovely Julie Laporte, winner of the Valentine cards giveaway, has posted a series of photos in Facebook about her goodies. I received a notification that I was one of the winners of a give away. People that “Like”(d) the PinkMoon Evenementen & Design page in Facebook would be participating in a raffle for two of their original Valentine cards. What a big emotion it was to find in my post an envelope sent to me from Amsterdam! Mi dear Mara Su lives and owns a design business there. Thanks Su it has been a very happy event! Good luck and blessings! Julie: This is the first time that I receive a letter from Europe, with stamps cancelled from Amsterdam! I’m emotional! Thanks! 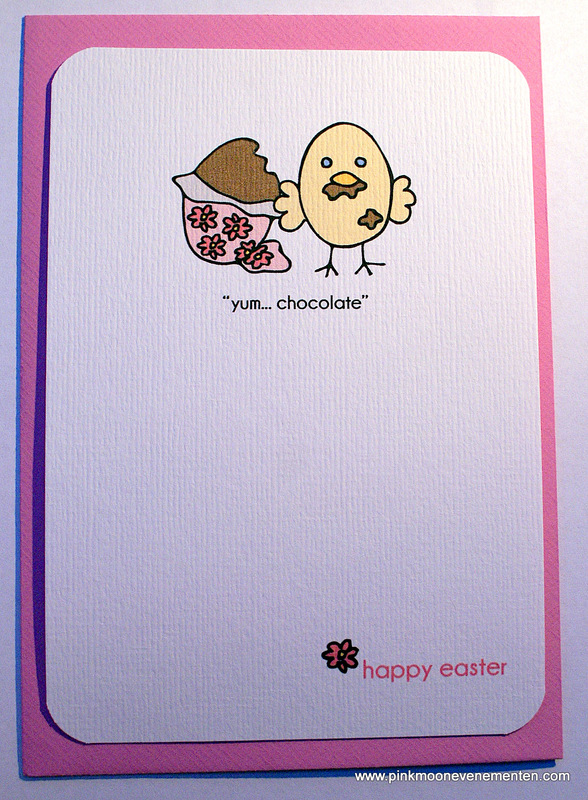 “Yum… chocolate” is a naughty and funny Easter card featuring a chick eating an Easter egg to send to the chocoholics in your life. All illustrations are hand drawn by Mara in her characteristic whimsical style, scanned, digitally colored and printed on heavy cardstock. “Love is the best medicine” is a sweet and funny Get well soon card to send to anybody in need of love and healing words. All illustrations are hand drawn by Mara in her characteristic whimsical style, scanned, digitally colored and printed on heavy cardstock. 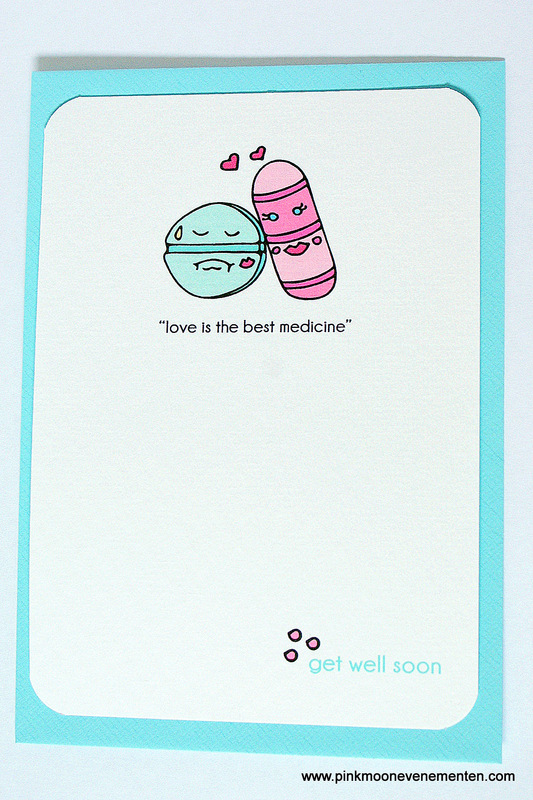 Buy Love is the Best Medicine card HERE. 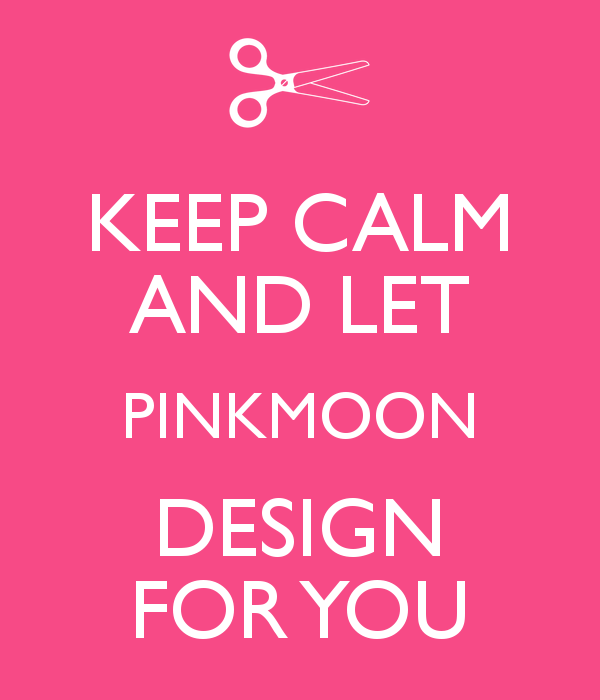 PinkMoon Evenementen & Design proudly presents two new items in the line of self-illustrated stationery! 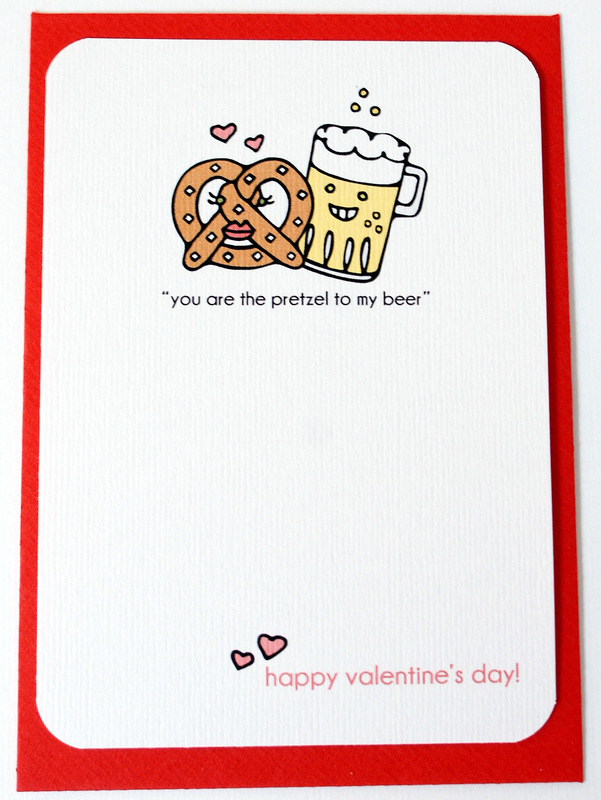 “You are the pretzel to my beer” and “You are the cookie to my milk” are sweet and funny Valentines to send to the love of your life or a best friend. All illustrations are hand drawn by Mara in her characteristic whimsical style, scanned, digitally colored and printed on heavy cardstock. 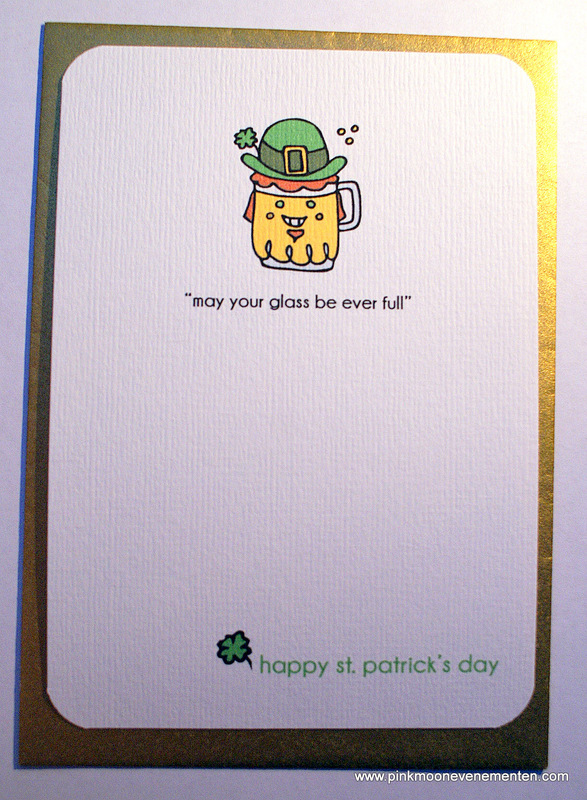 Buy Pretzel and Beer card HERE. 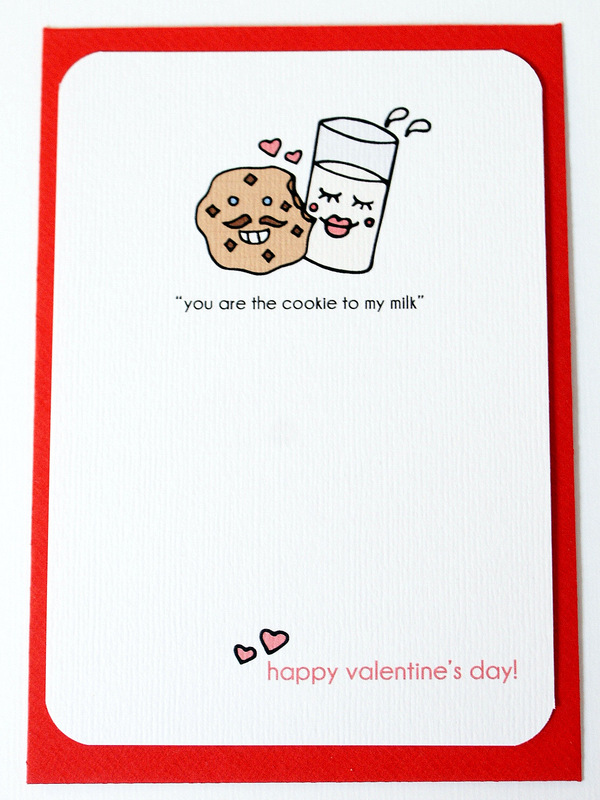 Buy Cookie and Milk card HERE.